From over 80,000 business in Sussex, Mecmesin is proud to have a top 50 place in the 2017 Sussex Super Growth Awards 2017. The event hosted the top 60 shortlisted companies, from over 80,000 employing more than 650,000 in our region. 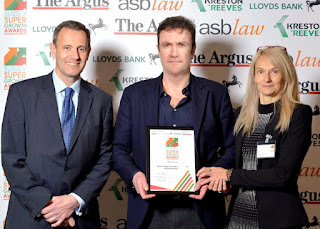 Mecmesin is celebrating its 40 year anniversary in 2017 and this recognition shows how our local business is continuing to drive rising demand, increase employment and generate prosperity in the Sussex area. No doubt our unique blend of local knowledge matched with our global presence was a major attribute in bringing Mecmesin to the attention of the organisers. We have launched several new products in 2016 and have plans for more in 2017 and beyond. Our growing business often needs new recruits to continue our expansion - see our careers page for the latest vacancies. 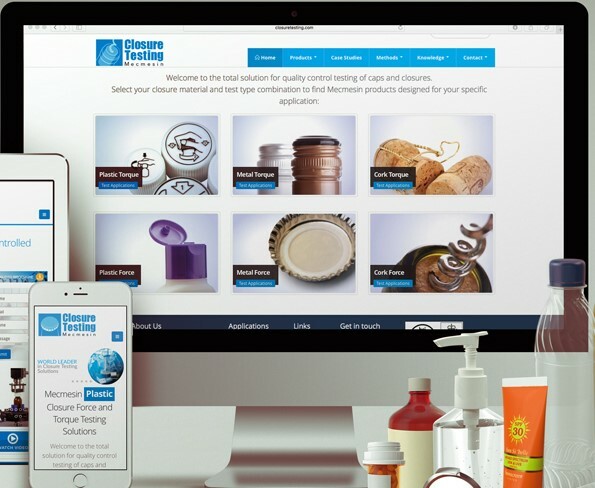 Mecmesin has launched a new microsite, ClosureTesting.com, for manufacturers and end users of packaging closures, collecting our knowledge and experience in delivering quality testing solutions into one easily accessible resource. Plastic, metal or cork? Torque, force or both? Visitors can select the closure material and test type relevant to their industry to be guided to the range of Mecmesin products suited to their application—from simple manual testers through to complete automated systems. All of this expertise is available via a responsive design, equally accessible on mobile, tablet and desktop browsing devices. Closure testing products. The site brings together how our closure testing capabilities have benefitted OEMs and producers of the final packaged product. 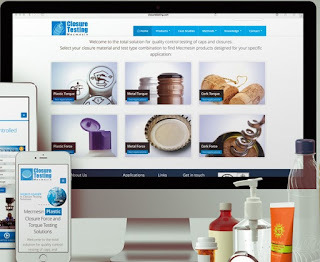 ClosureTesting.com also collects together our informative and in-depth videos covering test standards related specifically to caps and closures, how to ensure the best possible accuracy and repeatability in measuring test data, plus product overviews. Of particular importance in the measurement of screw cap removal or application torque, is consistent gripping of the closure, and we recommend using a mandrel to eliminate distortion and inaccuracy of results. See our video here. Welcome to ‘Torque About Force’ an informal, and we hope you find informative look at how the measurement of force and torque affects our life from day to day. As consumers we typically press, push, open, tear, twist, and unscrew dozens of items in any given day. From pushing open our front doors in the morning, turning our car steering wheels on our daily commute to tapping our computer keypads at work. We tear open a snack packet at lunch, pop the cork on a good bottle of wine and press the speed dial button on our latest touch screen phone for a chat with our friends at the end of our working day. We all apply force in our every day life! We look forward to reading your responses. Thank you for visiting ‘Torque About Force’.